I created a small stand alone program to view the replay files that can be created at the end of a battle. Unzip the file and place the folder anywhere on your harddrive. I recommend you place it inside the SOW \work folder. All the files inside the replay folder need to stay together, so don't spread them around. You can, of course place a shortcut on your desktop if you like. The up and down arrow keys move the battle forward and backwards. Holding down the Alt key at the same time speeds up the replay. Pressing the spacebar lets the battle run forward automatically from start to finish. Press the 'X' key to stop it in mid-battle. These usage instructions can be accessed from the Help item on the menu bar. Thanks again Uncle Billy. This is really a great little app for both SP band MP battles. Are you going to try and crack the thorny problem of FRAPS being unable to capture it? It would be great to be able to upload movies of these replays. Just tried to get this going and encountered an immediate problem.. got a pop up window with the message below. [Content] Windows cannot access the specified device, path, or file. You may not have the appropriate permissions to access the item. I'm running as admin & I ran vcredist_x86.exe, so I'm out of ideas to get it going. Maybe your anti-virus program is blocking it? Every time I start it I get MSVCP120.dll is missing from your computer. Run vcredist_x86 which comes with the file. Then it will work correctly. Yup, it was the anti-virus. The replay viewer was updated to version 1.05. It includes soon to be released maps. You will want to download version 1.05 now as the new nappy maps have been released. The link is in the first post. The Replay Viewer has been updated to 1.10. It reads the SOW Waterloo replays. The link is in the 1st post of this thread. One question Kevin. Should I place the RV in the Install-path/work folder or in Documents/SowWL folder? My understanding is its irrelevant where you put it. Mine still sits in the Gettysburg/Work folder. When you first use it you just have to tell it where your .rep files are. It doesn't matter where the folder is placed. Mine is still in the G'burg work folder. The program knows where it is and where the rep files are located the first time one is opened. How exactly does this work? How do I view a replay? Unpack the Replay Viewer folder into any directory you like, or your desktop. Mine is in Scourge of War - Gettysburg/Work. Once installed double click the exe to run it, then when the screen opens selected "open" and navigate to where your replay file is stored. 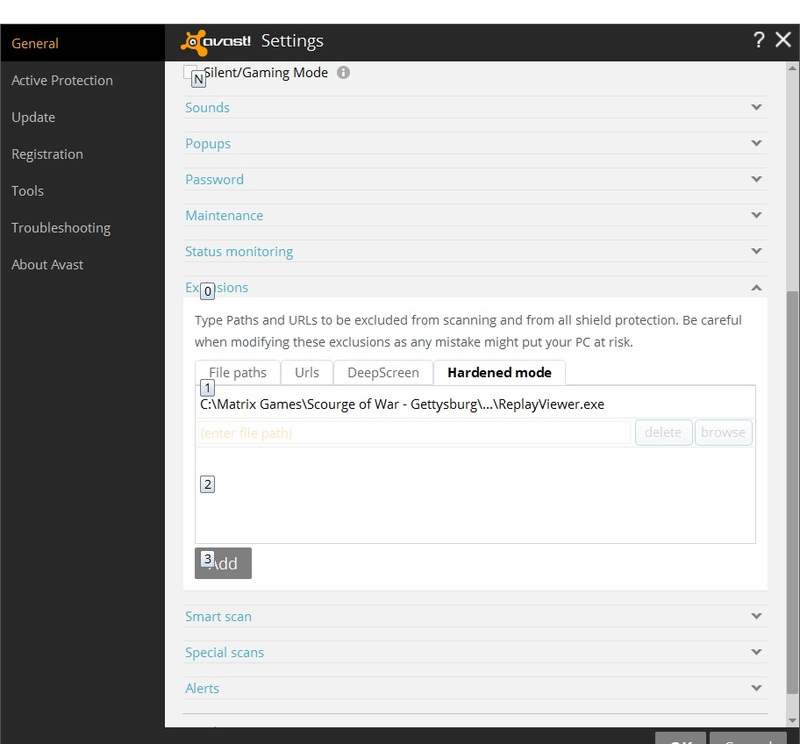 For SOWWL that's Documents/SOWWL/Saved Games/Replays. Find the .rep file you want (I check by the date) and double click it. Once the replay loads I play it by using the up arrow. Releasing the up arrow pauses the replay. After the first time you've used it, it'll default to opening that folder every time. It plays Gettysburg and Waterloo .rep files though I am not sure if it records the split-battalion skirmish units correctly. It didn't at first because it couldn't track a new unit created outside the original OOB but Kevin may have now fixed that. Downloaded RV 1.11 and there is definitely no .exe anywhere to be seen so cannot get the program to run. I downloaded it last night and it works ok here. -Run the vcerdist_x86 file for the Microsoft Visual C application. It will add some essential files automatically. -Put the ReplayView folder in your Matrix>Scourge of War Waterloo>Works folder. Inside this file is an application .exe Icon (Kevin's Abe' Lincoln Android) which can be sent to your desktop or wherever. Load your replay file. UP and Down keys will move the time forward and back. Space bar will run the game through automatically. Link to the latest version of the Player is in the first post of this thread. V1.11 is what I have; looking in the maps folder there is nothing from Meckel/Silberberg in it. Sorry. I meant v111 of the replay viewer not v111 of Supplemental Maps. If you open the folder of the Replay Viewer you should see dozens of jpegs, replayviewer.exe and replayviewermaps.csv. "Nap_Ger_Meckel.jpg" is the Meckel minimap image. Open the replayviewer folder, right click on replayviewer.exe and send a shortcut to your desktop, then double click that, then click on where it says "file" then click on "open" and navigate to where your replay file is kept. You should then see yesterday's replay. If that doesn't work we can probably talk you through this in TS tomorrow. It's been a while since I updated the replay viewer map selections. It is still version 1.11, but it contains all the maps used in the KS mods. The link is in the first post of this thread.